If you're wondering if this is one of the Newport mansions you've seen depicted in a movie, the answer is yes. This amazing summer residence, designed by Richard Morris Hunt (who also designed The Breakers and Marble House), can be seen in the Hollywood blockbuster, True Lies. In the opening scene of the movie, the exterior of Ochre Court is used for the Swiss chateau that Arnold Schwarzenegger must infiltrate. Many of the interior shots (including the famous tango scene) were taken down the street, at Rosecliff. 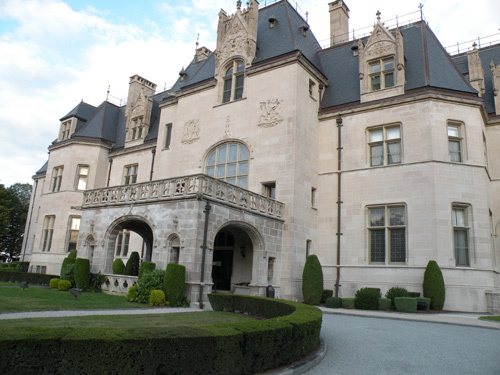 Ochre Court was built in 1892 as a summer home for Ogden Goelet, a wealthy New York banker and developer. Mr. Goelet was also an avid yachtsmen, and there was no better place for sailing during the Gilded Age than Newport. The descendants of Mr. Goelet gifted Ochre Court to the Religious Sisters of Mercy in 1947. 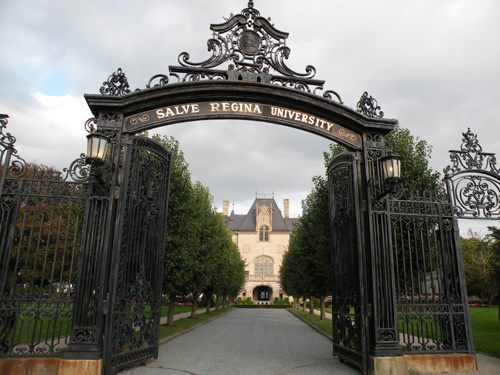 This property now hosts Salve Regina's administrative offices and occasional social functions. Ochre Court was modeled after a French Chateau and cost $4.5 million to build, in 19th century money! 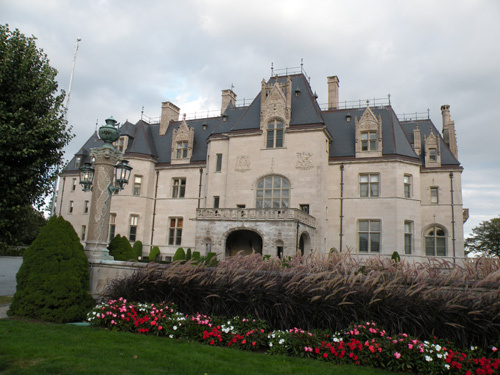 It is the 2nd largest of the Newport mansions. Only the Vanderbilts' Breakers (just down the street) is larger. This is a place you really should see for yourself. The pictures are nice, but they definitely don't do it justice. 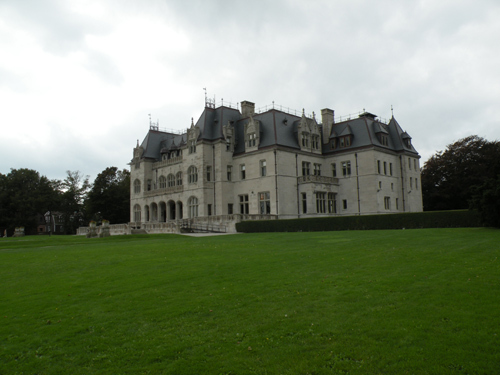 You can actually just walk up the lawn from the Newport Cliff Walk (like I did when I took the picture above), and tour the grounds at your leisure. Once inside the 3-story Great Hall, you'll be amazed at Ochre Court's grandiosity. From the meticulous ceiling paintings and stained glass to the old fireplaces, you'll get a sense of how well the Goelets had it during their summers in Newport. 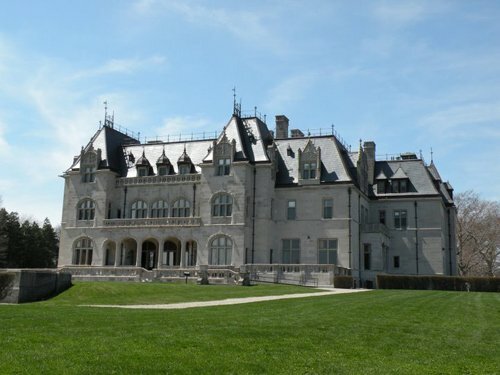 This is one of the Newport Rhode Island mansions that doesn't get as much attention as the others. And that's what makes it a great spot to visit, any time of the year. Avoid the crowds and longer tours, and just check this one out at your leisure.